(Hillsboro, Ore.) — On Tuesday, February 5, from 5 – 8 p.m., the Walters Cultural Arts Center (527 E. Main St., Hillsboro) will host an opening reception for an exhibition of work by the Viewpoint Critique Group, a collective of women artists who support each other in the creation of new work across a range of media. The exhibition features work from artists Carol Barnett, Kathleen Buck, Patrice Cameron, Airi Foote, Evelyn Fritz, Anji Grainger, Chris Helton, Janice Payne Holmes, Kat McCullough, Britt McNamee, Phyllis Meyer, and Sunny Smith, and will be on view February 5 – March 22, 2019. The Viewpoint Critique Group is rooted in the philosophy that the sharing of ideas inspires new forms of expanded artistic expressions. 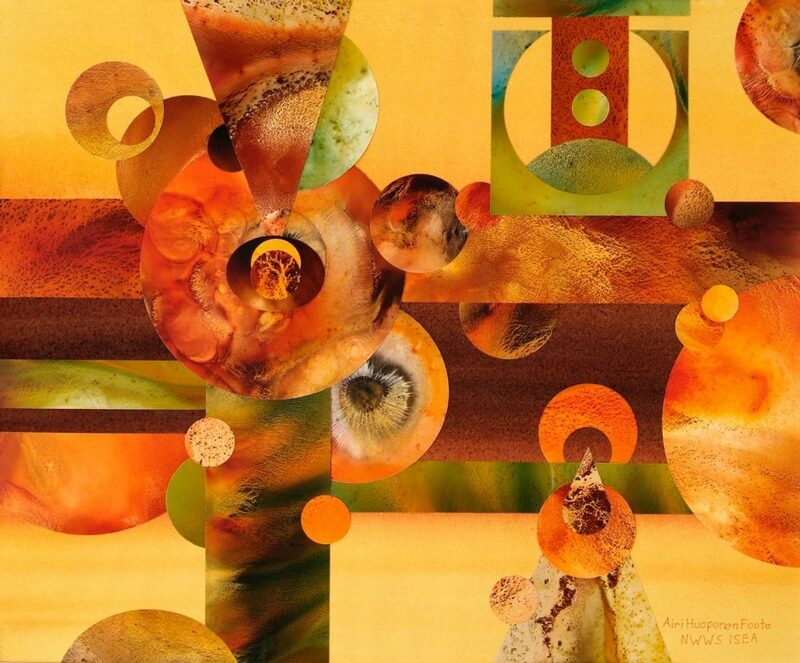 With practices spanning a broad range of media, including watercolor, acrylic, gouache, encaustic, oil, pastel, and collage, the group fosters collaboration and the continual sharing of ideas, techniques, and feedback. The collection of work included in this exhibition represents the interconnected and cumulative power of the group’s philosophy in action. The February 5 Art Walk reception will feature a demonstration of acrylic painting techniques by exhibiting artist Chris Helton from 5 – 6 p.m. During this time, Helton will welcome questions about her techniques and creative process. Artists from the Viewpoint Critique Group will also be featured in the Walters’ First Tuesday Artisan Pop-up Shop, along with artists Jen Champlin, Emily Miller, and Loretta Smith. Natalie Tan, principal pianist with the Portland Youth Philharmonic, will perform in the Walters lobby from 5 – 6:30 p.m., and family art-making activities will take place 5:30 – 7 p.m. Light refreshments will be provided thanks to our supporting sponsor, Decadent Creations. The First Tuesday Art Walk is free, open to the public, and takes place on the first Tuesday of every month throughout Downtown Hillsboro from 5 – 8 p.m. Exhibitions at the Walters Cultural Arts Center are open Monday through Thursday from 9 a.m. – 9 p.m., and Friday from 9 a.m. – 5 p.m. The Walters is located at 527 E. Main St. and is situated on the corner of Northeast Fifth Avenue and East Main Street in a one way grid in downtown Hillsboro. Parking can be accessed from either Fifth or Sixth Avenues, and the Walters is conveniently located just two blocks off the MAX Blue line. For more information call 503-615-3485 or visit www.Hillsboro-Oregon.gov/Walters.